WASHINGTON — After the three-day government shutdown and just before President Trump departs for Davos, Switzerland, the Russia story has roared back into the news. 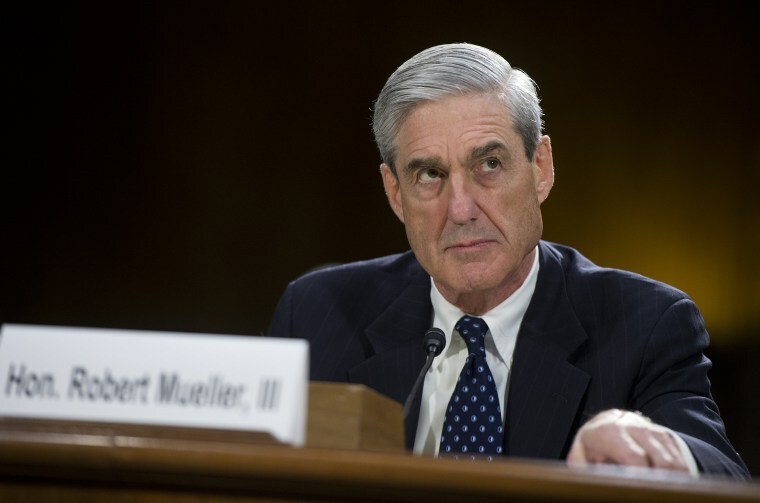 And the common thread to all of the new developments is that special counsel Robert Mueller appears to be pursuing a case around these three words – obstruction of justice. On Tuesday, The New York Times first reported that Mueller questioned Attorney General Jeff Sessions for several hours last week. “In recent weeks, Mr. Mueller has told the president’s lawyers that he will most likely want to interview Mr. Trump about the firing of the F.B.I. director, James B. Comey, and about the former national security adviser, Michael T. Flynn,” the Times writes. Remember, Sessions played a key role in Comey’s firing. Add up these different stories, and it’s becoming obvious that obstruction of justice — over the Comey firing, about Michael Flynn — is a REAL issue that Mueller’s team is exploring. And realize, these stories are the low-hanging fruit. We don’t know everything else (financial records, emails, sworn statements) that Mueller’s got. Remember when the political world — including Candidate Trump himself — railed against Obama Attorney General Loretta Lynch’s meeting with Bill Clinton? Well, Trump asking then-Acting Attorney General Andrew McCabe who he voted for — after the president fired Comey — is much, much worse. As for the political fight over immigration, NBC’s Frank Thorp confirms that Senate Minority Leader Chuck Schumer, D-N.Y., informed the White House Sunday that he withdrew his offer to give Trump all the money he wanted for his border wall — in return for protection for DACA recipients. Did Manchin threaten to retire if Democrats didn’t end their shutdown? That SURE seems to be his suggestion to The New York Times. Question: Does the Democratic and progressive base now know why Schumer and other Democrats leaped onto the opportunity to find a bipartisan solution to DACA — instead of continuing the shutdown? And it’s doubly striking, as NBC’s Dafna Lizner points out, that CANADA’s prime minister has tweeted about the shooting. “I’ve spoken with Kentucky’s @GovMattBevin to offer condolences on behalf of Canadians for today’s shooting in Benton. Our hearts go out to Kentuckians, and to all those affected by this tragedy,” Canada’s Justin Trudeau wrote. “U.S. Rep. Pat Meehan acknowledged Tuesday that he had a deep ‘affection’ for a younger aide and told her last year that he saw her as ‘a soul mate,’ but said he never pursued a romantic relationship with the woman and, despite paying her a secret settlement, denied her claims of sexual harassment,” per The Philadelphia Inquirer. As The Montgomery Advertiser’s Brian Lyman reported, the Alabama House approved a bill ENDING special elections for appointments to the U.S. Senate, and the measure now goes to the state Senate. But someday, there will be a Senate vacancy in Alabama when there’s a Democratic governor, and the state GOP will remember to kick itself for being shortsighted back in 2018 — and realizing the law of unintended consequences wins again. Bottom line: Alabama Republicans haven’t learned the right lessons from their defeat last month. Instead of changing the laws, how about picking a better nominee?